Posted August 17th, 2018 by basementmovies & filed under Watch. Tally-ho, Basement Dwellers! 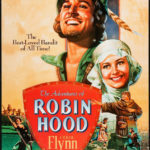 Assemble with us merry men on ye olde leather couch as we watch the technicolor classic The Adventures of Robin Hood! In Seen It, we discuss the king of the polka, the king of the lions and romance that is modern. Posted August 3rd, 2018 by basementmovies & filed under Watch. We have a date with destiny as we defend the hot gates with The 300 Spartans. 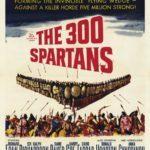 This is not Zach Snyder’s 300, it’s the other one. In Seen It, we discuss period pieces: teenage rock and rollers, a proxy for Mr. Hudsucker and a troubled boy named Darko. Posted July 20th, 2018 by basementmovies & filed under Watch. 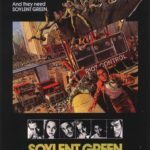 Sci-fi July continues and we hope you brought your appetite because we will be tucking into the dystopian classic, Soylent Green. Bon Appetit! In Seen It, we’re all about the fiction of science, with runners of blades, balls of space and a little guy named E.T. Posted July 13th, 2018 by basementmovies & filed under Watch. 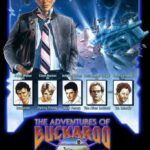 Sci-fi July starts off with a blast as we rocket into the eighth dimension with our hero Buckaroo Banzai. In Seen It, we take a trip back in time with the 80’s Cable Roundup, with masters of beasts, things that are wild and stories that never end. Posted June 23rd, 2018 by basementmovies & filed under Watch. You’ve been invited to a wedding! We hope this doesn’t alarm you, but half of the guests will be dead. 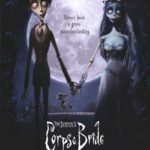 Things get real gothic on the old leather couch as we check out Tim Burton’s Corpse Bride. In Seen It, we talk cartoons: Coco, Kubo, Vincent, et al. Posted June 9th, 2018 by basementmovies & filed under Watch. 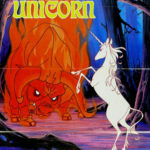 Enter a world of magic and wonder as we accompany The Last Unicorn on her most important quest. In Seen It, Own It, we discuss the lights of the city, the blankness of Grosse Pointe and a room popularly known as The Room. Posted May 25th, 2018 by basementmovies & filed under Watch. Join us on the old leather couch as we watch a young girl blossom into womanhood in the weirdest possible way (Vampires are involved). 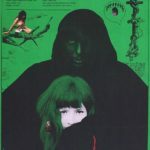 In Seen It, we discuss films from other lands, featuring stolen bicycles, hopping Vampires and a precocious young girl named Zazie. Posted May 11th, 2018 by basementmovies & filed under Watch.